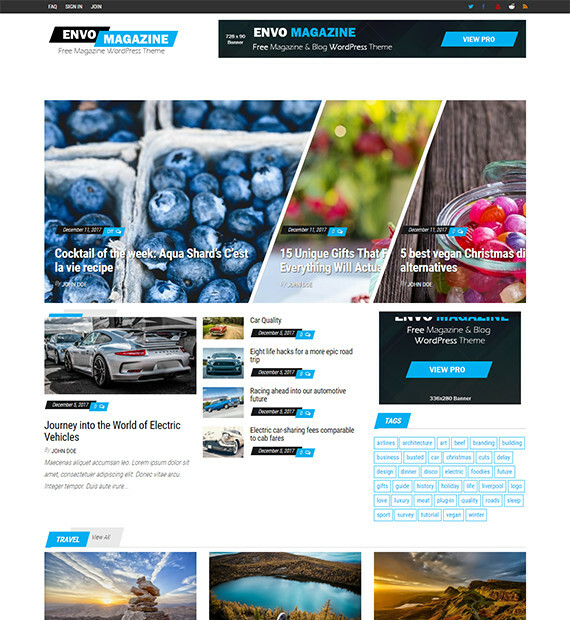 Envo Magazine is a responsive theme best suitable for a magazine website. It has a very clean and simple yet an attractive design. Using this theme in your website will surely make your website stand out and be eye-catching for the viewers. This will help to increase the number of readers for your online magazine. This theme also has a blog section where you can add your own blogs and can be shared on social media to grow the reach of your audience.